With digital marketing seeming to shift every 5 minutes, the strategies behind your efforts must change too. But there is one constant that remains over time, and that is influence. Brands that influence consumers are the ones that win. This is where influencing the influencers comes in, so that they will use their influence. And there are definitely “best ways” to connect, persuade, and convey your message to attract the right influencers. 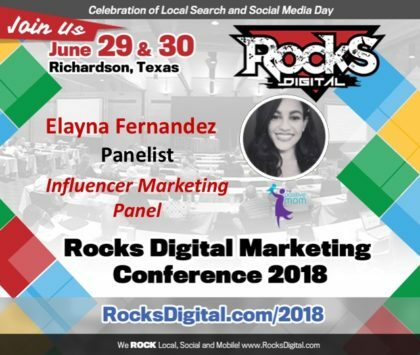 Who better to share how to find, work with, and connect with influencers than influencers themselves? 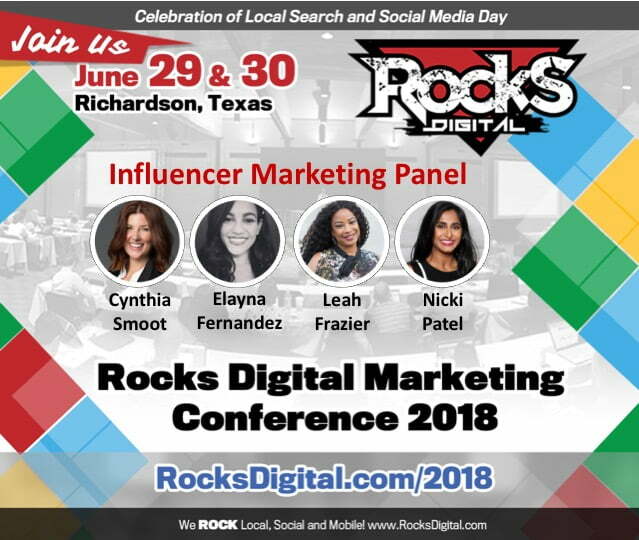 Meet your 2018 Influencer Marketing Panel now. 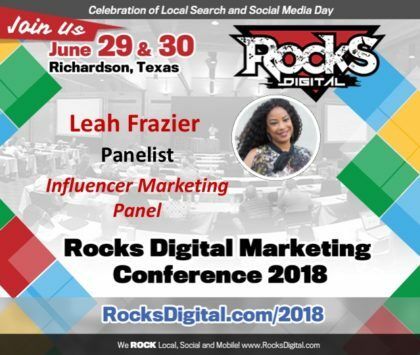 Leah Frazier, FashionPreneur™, joins the Influencer Marketing Panel at the Dallas-based 2018 Rocks Digital Marketing Conference. Meet Leah now. Cynthia Smoot to moderate the Influencer Marketing Panel on Social Media Day at the Dallas-based 2018 Rocks Digital Marketing Conference. Meet Cynthia now.